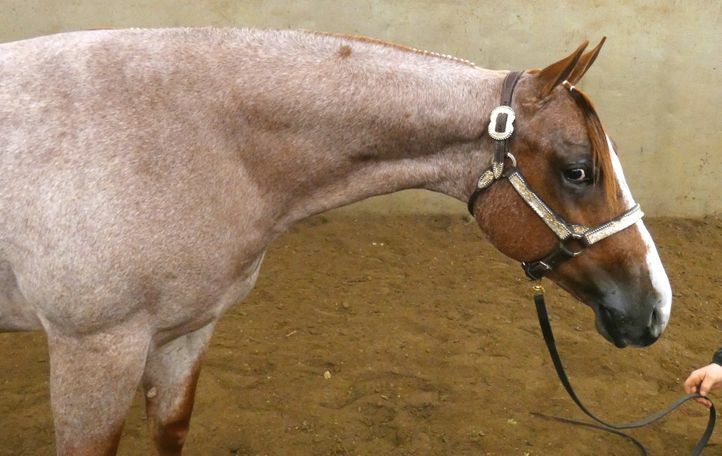 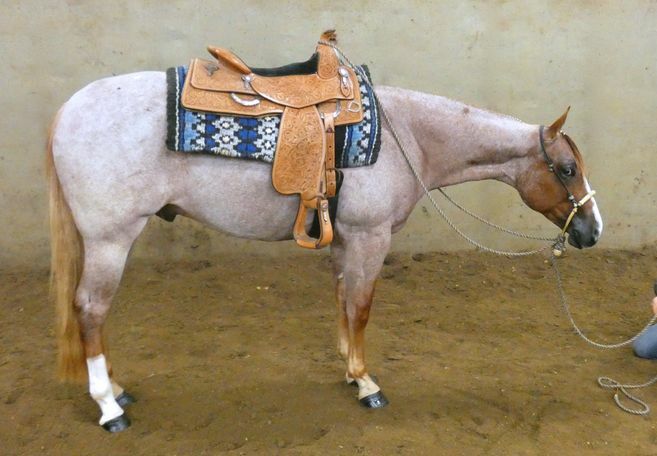 GONNA BE A ROMEO - 2017 AQHA Red Roan Show Gelding. 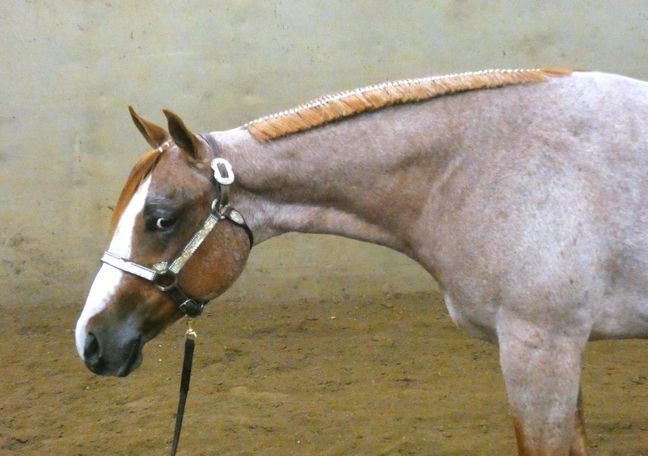 Romeo comes from a long line of super producers. 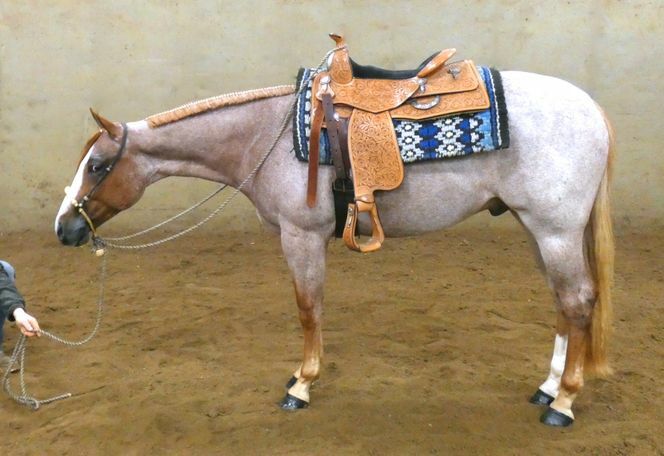 He is sired by The Good Ranger and out of the good producing mare Not Gonna Work. 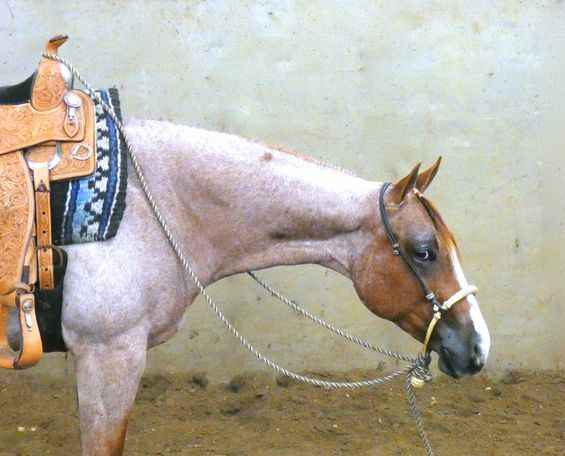 Romeo is a full brother to the good show horses The Lone Ranger and Lazy Lopin Ranger. 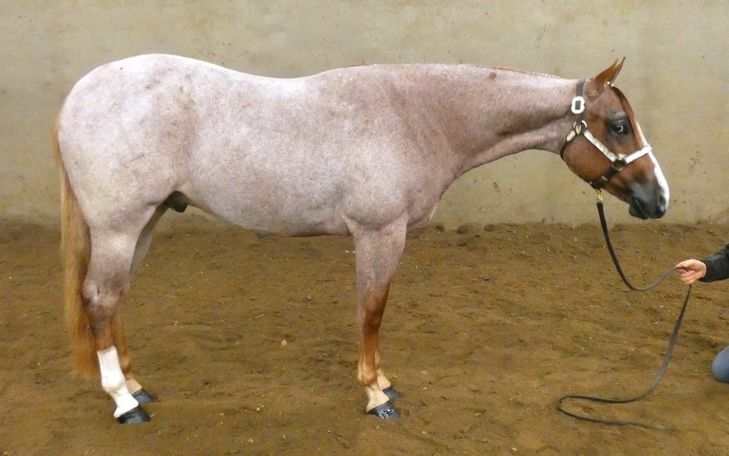 He is good legged with a naturally slow cadence, bred to be a show horse. 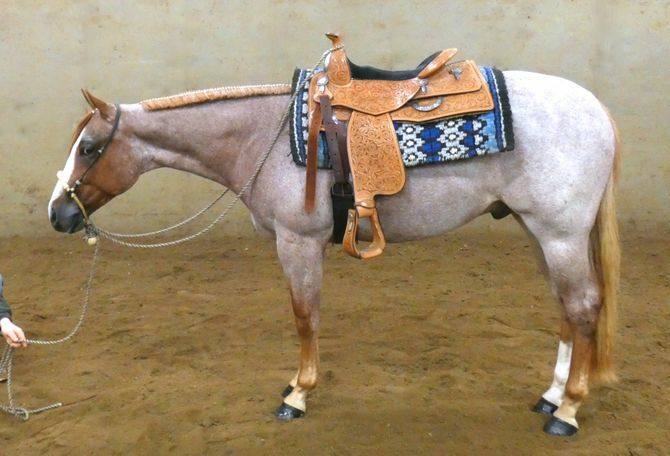 He is nominated to the Tom Powers Futurity and eligible for the 2019 Tom Powers Sale Stakes. 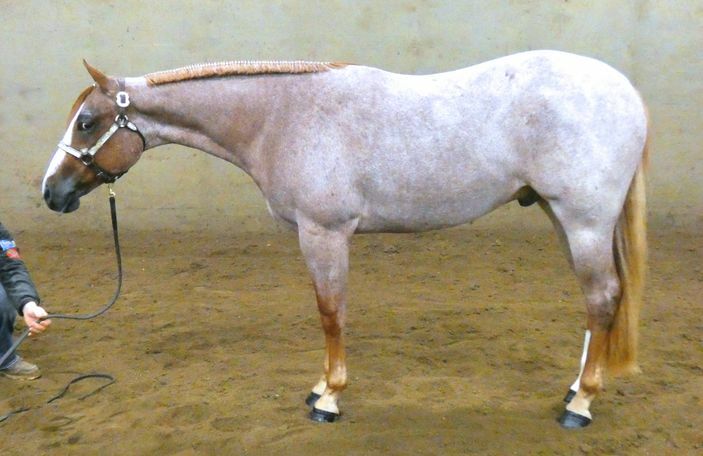 He is also eligible for the Michigan Quarter Horse Association’s / Southern Michigan Horse Sale’s 2 Year Old Western Pleasure Stakes Class. 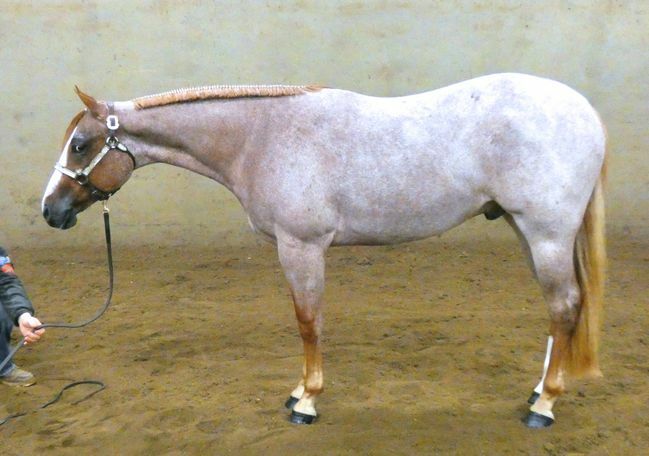 With his color he is also able to compete for the added money from the American Roan Horse Association at certain shows. 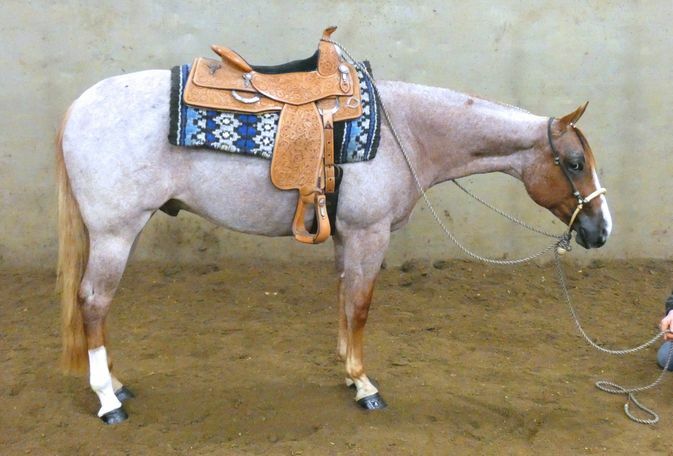 Romeo has the movement and trainability to make a great futurity/show horse!